Shhh... don't tell my kids, but we are headed to Disneyland in less than two weeks! They have a full week off of school in the middle of October and we decided to jump at the chance and head to California for a much needed family vacation. 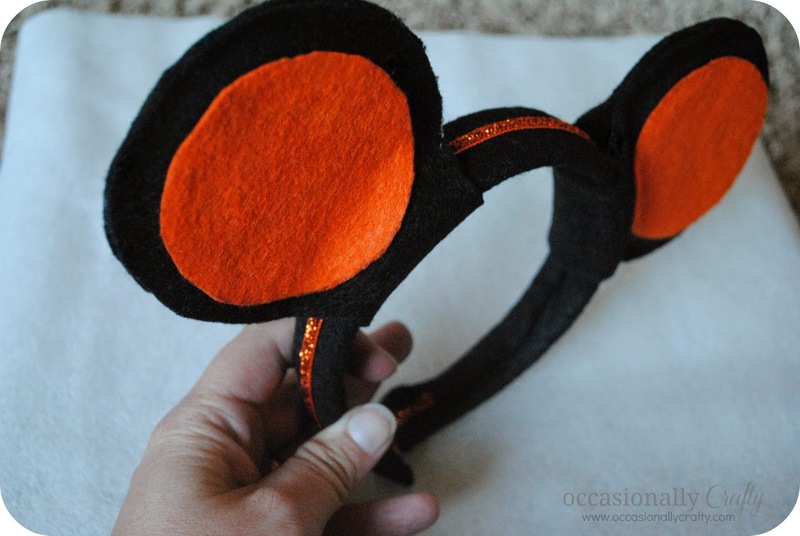 Last year when Valerie and her family went to Disneyland for Christmas I made them some Christmas Mickey & Minnie mouse ears. Now it's our turn to go and it's Halloween time! I used the same tutorial from The Suburban Mom but changed it around to fit the color scheme of Halloween. 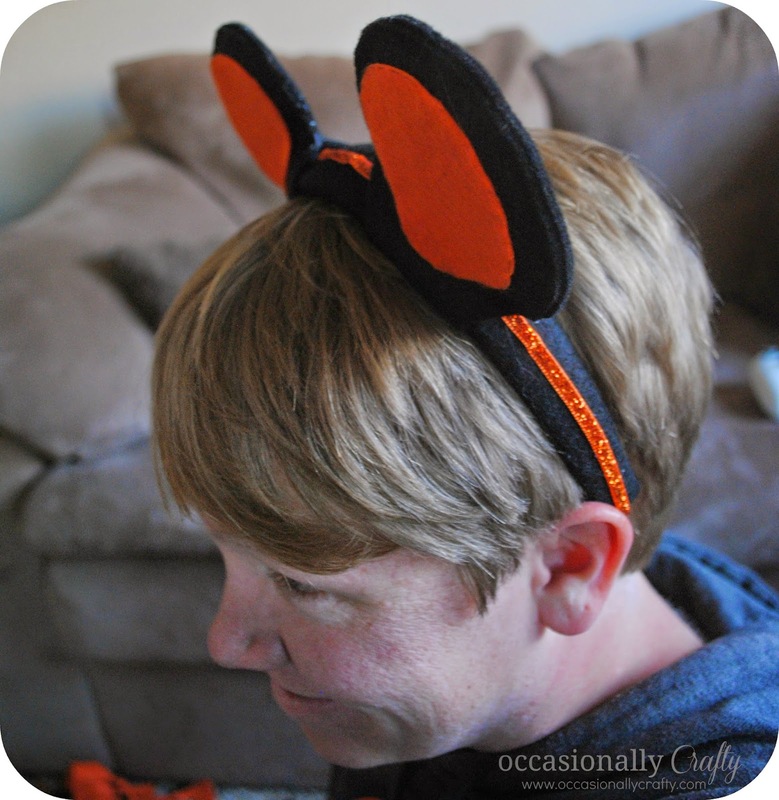 I don't have any girls so I didn't make Minnie ears, but I bet some orange ribbon with black polka dots would be perfect for Minnie's bow! I hope the boys love them! 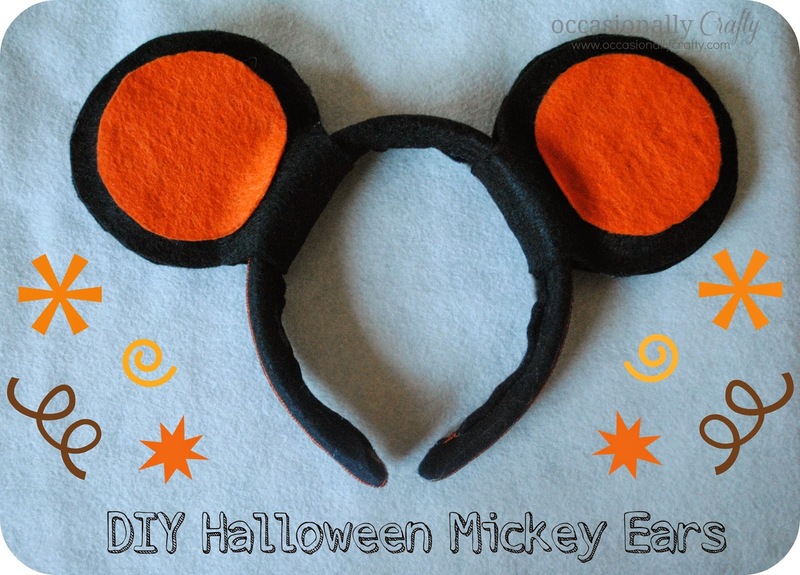 We'll be handing them the mickey ears as part of the surprise moment! Are you headed to Disneyland this year? We love booking through Get Away Today and can't recommend them enough! They usually have some sort of sale on tickets (which is really hard to find), and our trips have been smooth sailing every time! Use code OCRAFTY when booking for an extra $10 off any 2-night or longer Southern California package (hotel and 2 ticket minimum). Thanks! We're really looking forward to it! I love them! SO cute. I should totally make these for my kiddos. I'm sure your kids would love them any time of year! On the tutorial she's doing them for a birthday party! That's a great party favor! Oh you are going to have an excited crew! We surprised our kids once or twice and it was so great!